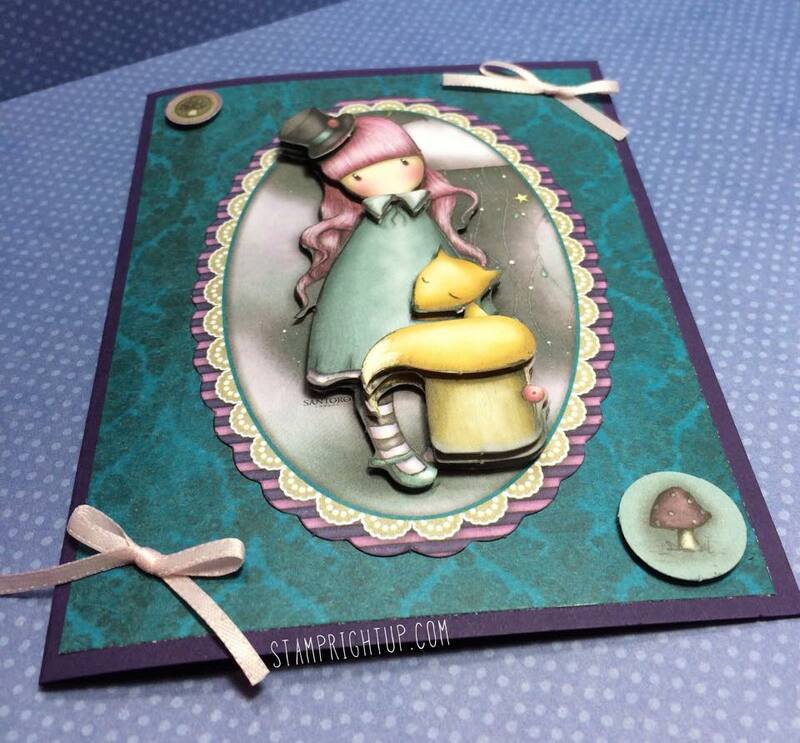 Spring Brights Gorjuss by Santoro Decoupage ~The Dreamer Greeting Card Kit | Stamp Right Up! Today’s project is very different from my usual style, but I have been really smitten with these Gorjuss by Santoro’s decoupage kits that I keep seeing in my local craft store. I can’t believe how cute it turned out, and took me about 15 minutes to make! It was my first one, so I will be devising a way to get rid of the little nubbins that were left behind from taking them out of the diecut sheet. I punched the small mushroom from the actual package that the card kit came in – I love that the ENTIRE package can be used for crafting! You can’t see it in the photo, but I added some Wink Of Stella clear to her hair and the clouds. I can’t wait to make the rest of them – there are EIGHT decoupage projects in the kit, with four full sheets of patterned paper. All I really needed was half a sheet of card stock for the base, some foam pop dots & a bit of glue. I used some ribbon I had kicking around, but there are enough spare bits & pieces on the inside of the packaging that if you didn’t have anything like that on hand, you could still make a really cute Santoro Gorjuss character card with only glue and foam squares. 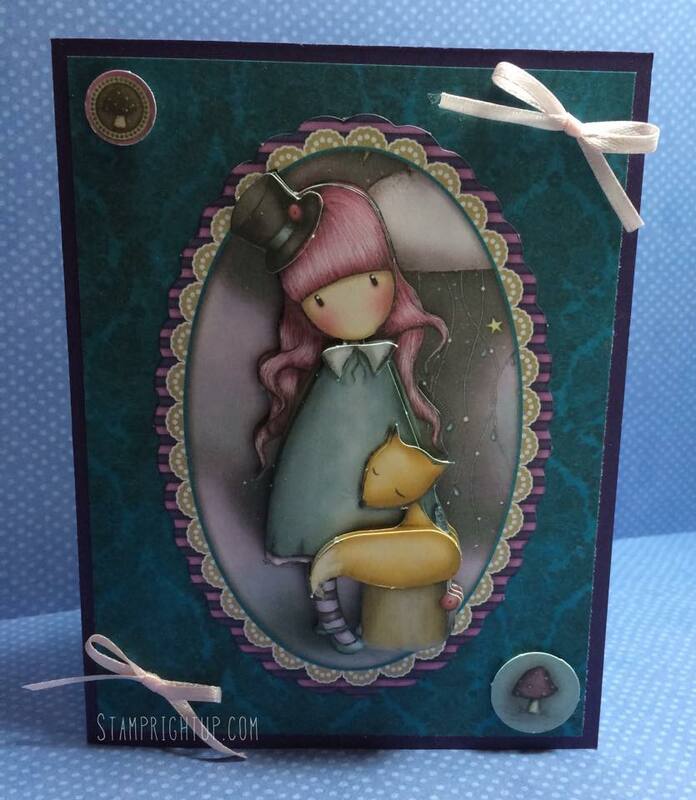 Lawn Fawnatics Guest Designer: Summertime Fun!